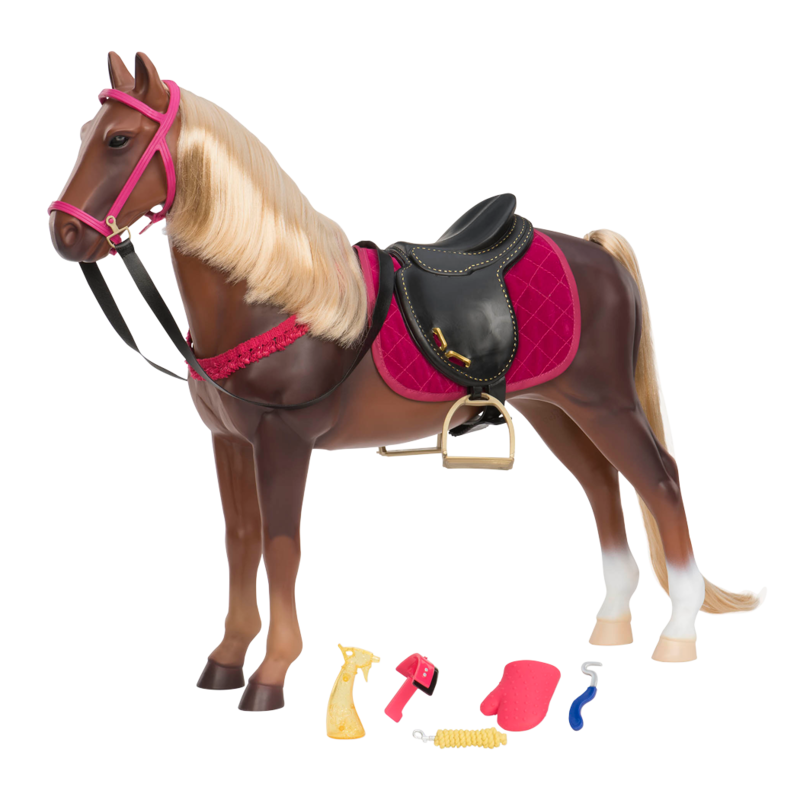 https://s3-ca-central-1.amazonaws.com/media.ogdolls/20190401200356/BD37480_Happy-Harvest-garden-accessories-NEW.png Category: House and Home. 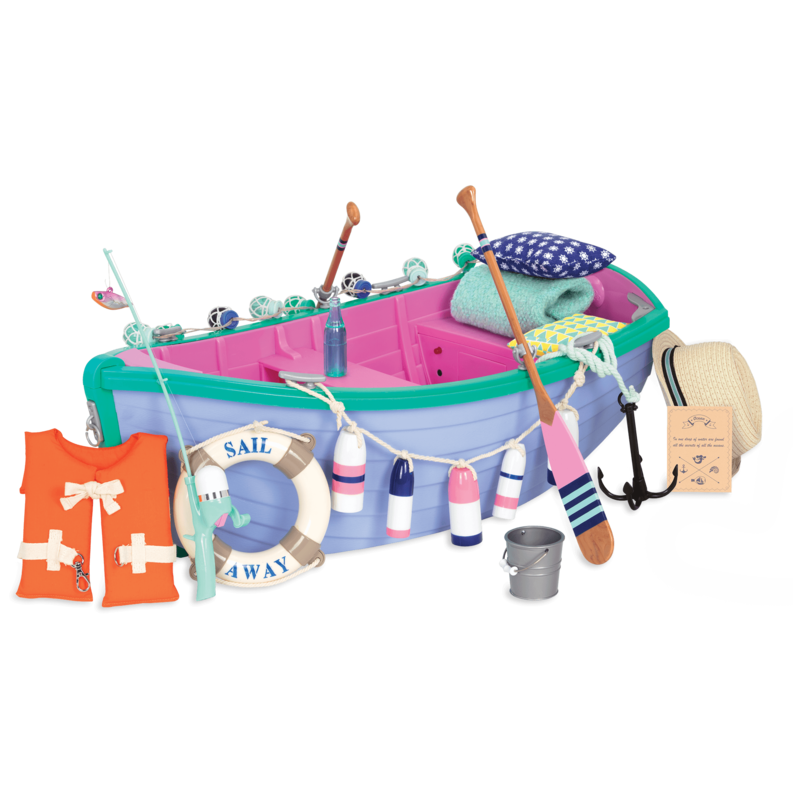 Cute garden accessories for 18-inch dolls! Care, rain and sunshine lead to good things on the vine! 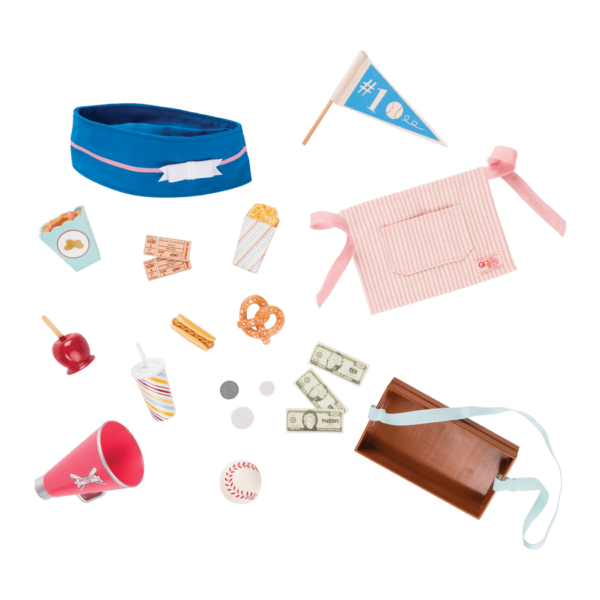 Give your dolls a green thumb and help them care for their doll gardens with the Our Generation Happy Harvest Accessory Set for 18-inch Dolls! Dig a little, plant a little, and watch your good ideas grow! 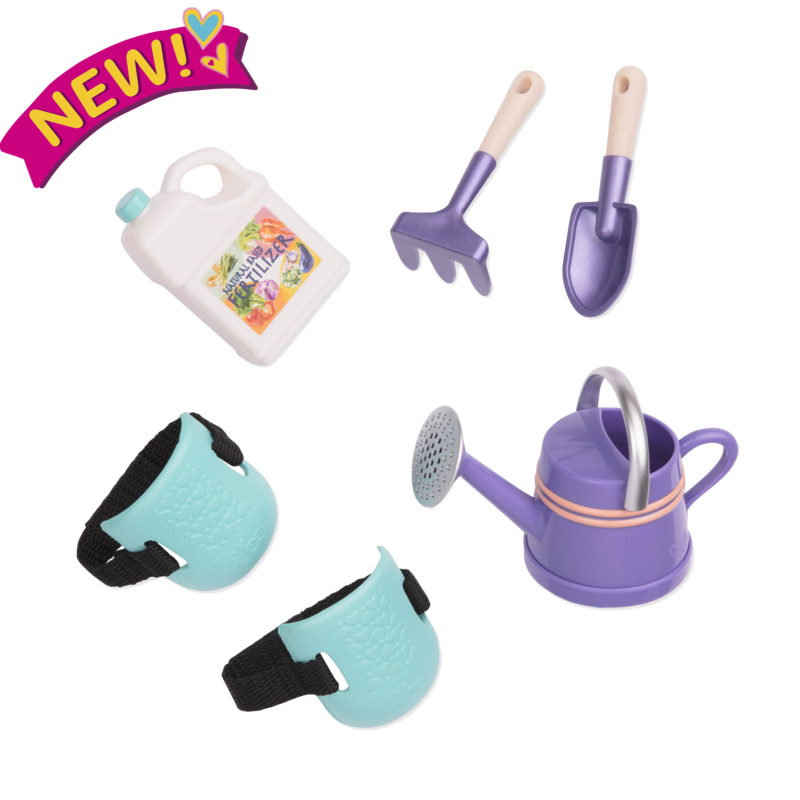 This accessory set has all the essentials for doll-sized gardening fun, including a pair of garden knee pads, matching purple watering can, trowel, and rake, and a jug of pretend fertilizer to help your dolls’ garden grow! 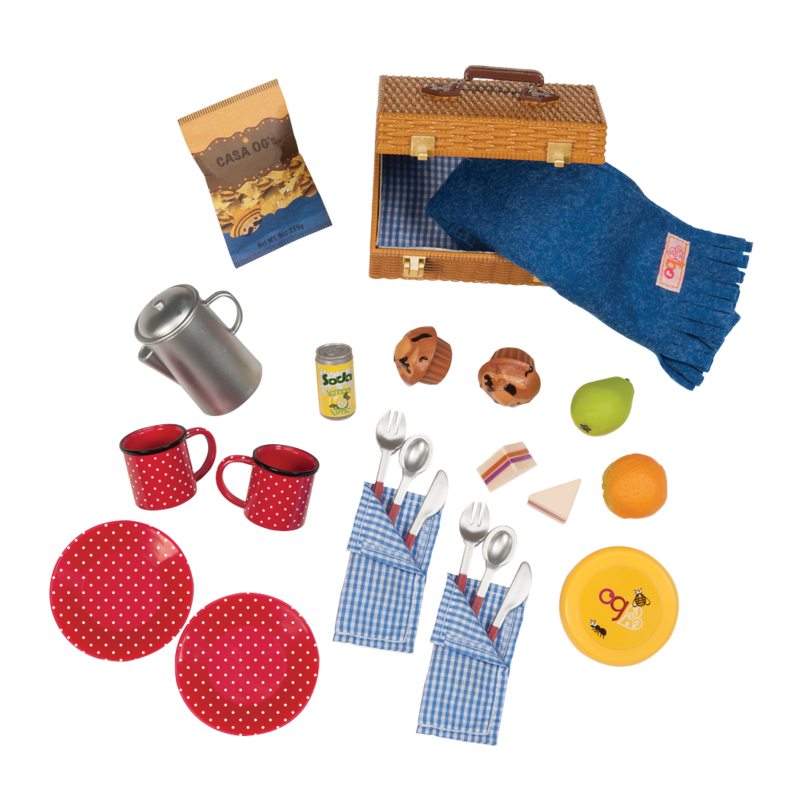 This great set helps encourage young gardeners to become familiar with best practices in the garden and get excited about all the good things they can grow! For even more ways to garden with your Our Generation dolls, check out the Way to Grow accessory set featuring a mini doll wheelbarrow, a planter, and a miniature garden gnome!